I’ve got a favorite taco recipe to share that’s veggie-tastic! 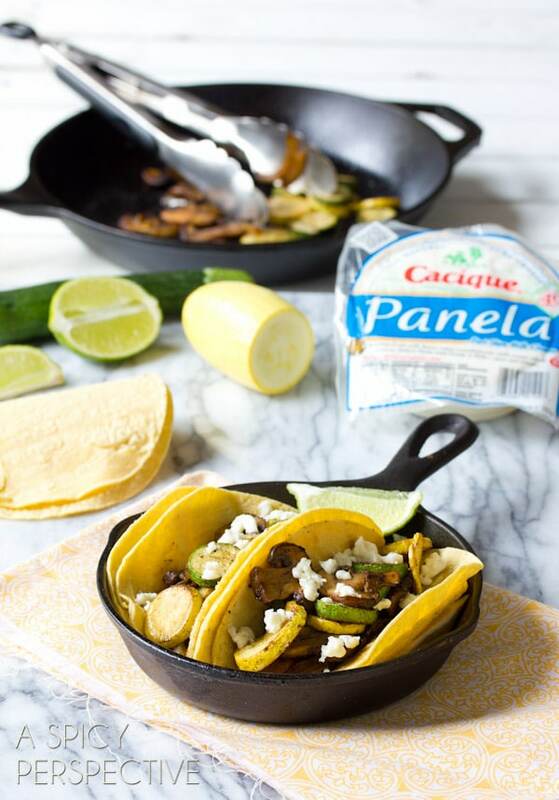 These street tacos are piled high with sautéed crimini mushrooms, zucchini, summer squash, onions, then sprinkled with salty panela cheese. As a novice gardener, I never have the wherewithal to know what I can grow, and how much of it I should grow. I haphazardly plant vegetable seedlings each year and cross my fingers. Some years I get lucky, and other years not so much. Last year, I decided to plant zucchini and summer squash for the very first time. I was excited to grow my own squash plants so I could harvest the squash blossoms for stuffing and pan frying. I never actually intended to have squash. Little did I know that the squash I planted would really really like my yard and not want to stay small so I could harvest only the blossoms. Instead, the plants grew, bloomed, and produced squash faster than I could pick the blossoms, and low and behold I had a mess of squash on my hands all summer. Several of them grew so large they looked like giant toes, about the size of a rolls of paper towels. I quickly learned why farmers pick them small… pleck! It seems like we ate squash every day last summer. Some sautéed with tomatoes, some made into southern squash casserole, some in salads, and some in tacos. 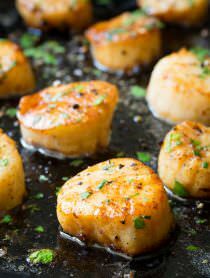 It’s such a simple recipe and takes less than 15 minutes to cook. 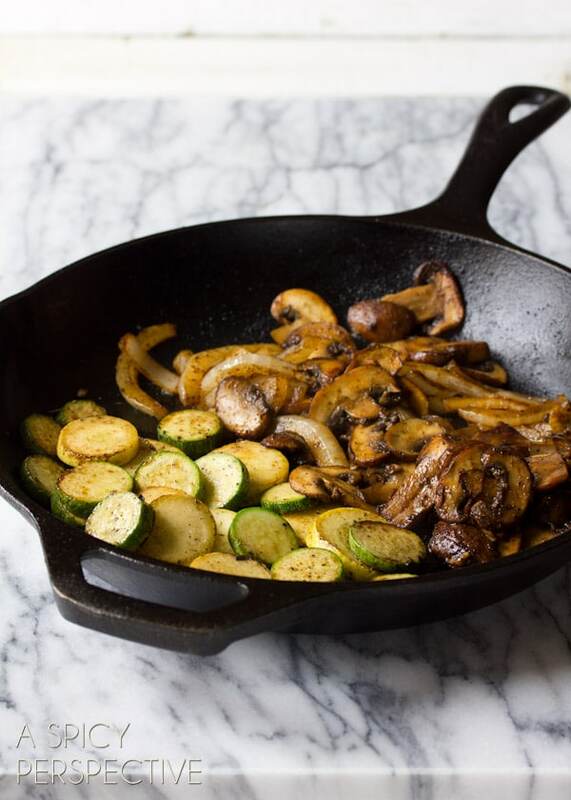 You simply sauté onions, crimini mushrooms, and your fresh garden squash, along with some smoky spices. It’s best to sauté the veggies individually so they’re not crowded in the pan. That causes them to steam and get mushy. Then pile all the veggies into fresh corn tortillas and sprinkle with a really good California-made hispanic cheese, like panela. This veggie taco recipe is fresh, flavorful and packed with nutrients. It will make you wish your squash plants were even more aggressive! Chop the veggies and leave in separate piles. Mix the salt and spices in a small bowl and sprinkle evenly over all the veggies. Place 1 tablespoon of butter in a large skillet and heat to hight heat. Once the butter is melted, add the onions and garlic. Saute’ for 1-2 minutes until just barely soft. Remove from the skillet and add 2 tablespoons of butter. Once the butter is melted, add the mushrooms and saute’ and stir until brown and cooked through, about 5-8 minutes. Remove and add the last tablespoon of butter to the skillet. 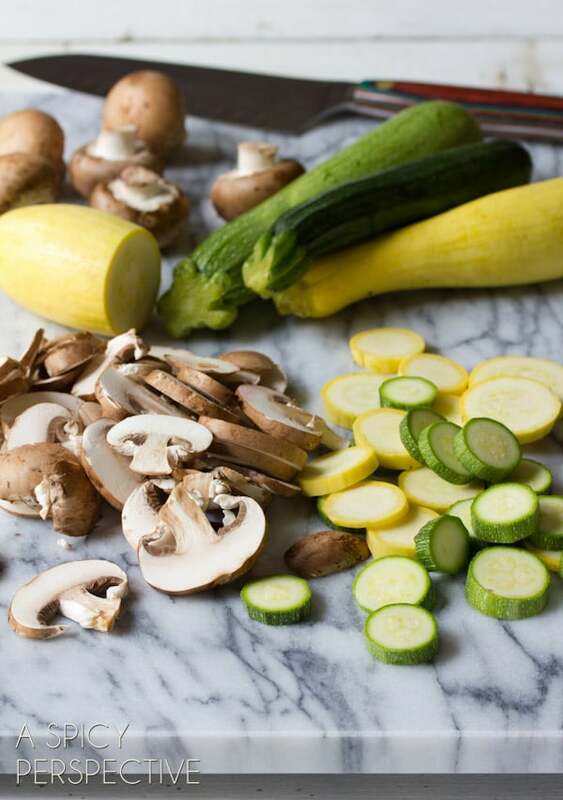 Add the zucchini and summer squash to the skillet. Saute’ and stir for 2-3 minutes until golden, but just barley cooked through and still firm. To serve, place a tortilla on a plate (you can double them up for extra stability) and load it with veggies. Top each taco with a generous sprinkling of crumbled panela cheese. Serve warm. I am loving these veggie tacos!! 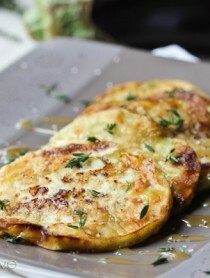 Girl, you know I can’t resist a zucchini recipe! This is such a great vegetarian dish! These tacos look very healthy. I’m not sure how I feel about that. Just kidding. I love it. Yum! Simply divine! I can have 3, since they’re healthier for me, right? I mean…also for tasting. Perfection, I love this idea! These look so good! 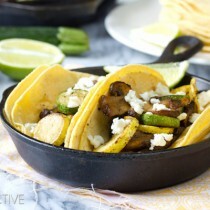 I love corn tortillas, and sauteed mushrooms and zucchini! I LOVE veggie-tastic recipes…and this one looks like a real winner! Can’t wait to give it a try…as soon as my neighbors donate some of their extra zucchinis (like they do every year just about this time). I love my neighbors! A great healthy take on tacos, Sommer! We’re big taco fans in our house. These look magnificent! This is my kind of taco! AMAZING! Perfect healthy tacos and how fun it would be to cook with home grown, right.. I can’t get enough zucchini in the summer! These look SO delicious! I’ll eat veggies all day if they are served like this! mmmmmmm love me some street tacos! This is such a great, healthy way to use up the zucchini from my garden. I love this idea! So pretty! I really need to freshen up my taco menu and these are just the ticket! Love! these really look fantastic. I love that they are vegetarian. I’m going to have to look in our spice aisle for that Cuban seasoning. 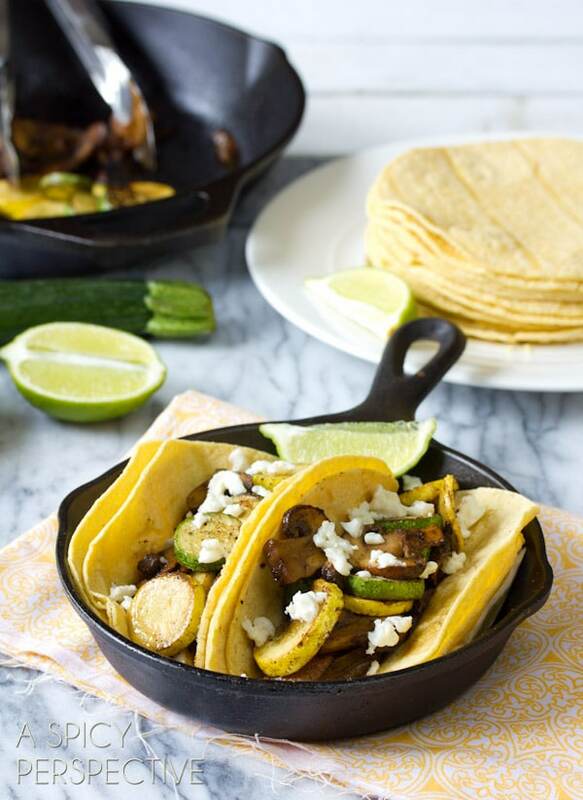 These tacos are the perfect way to use up those zucchini (my garden has the same “problem” right now). I am seriously craving these tacos right now for breakfast. Squash and zucchini are monsters in the garden. They really take over. 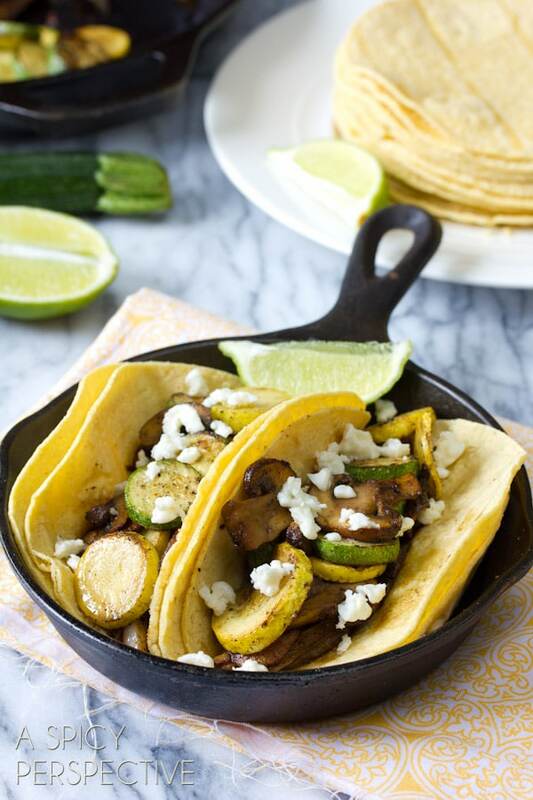 These tacos look amazing–the perfect use for an abundance of summer produce. My kind of taco! LOVE! Really? California butter? Get your butter from the REAL dairy state (the one that also produces internationally award winning cheese)….WISCONSIN!!! I love veggie tacos, these are fab! I’ve never seen panela cheese or cuban seasoning in the supermarket (although I always pick up my favorite Columbian seasoning from a Cuban restaurant we frequent whenever we’re in Florida). Sounds fantastic Sommer! These are amazing sounding. I love mushrooms in a taco but have ofton used chanterelles. Time to try something different! This is the perfect lunch or dinner idea! Love the veggies! I’m so impressed with your garden goodies – and how good they turned out to be! The perfect lunch! Looks so good, Sommer! Mmm! These are so pretty and I love a good vegetarian taco every now and then! These look perfect! 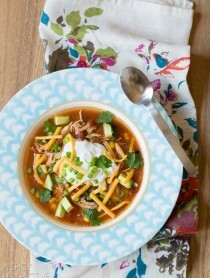 I’m looooving this for quick weeknight meals! Yum! Yes, yes and yessss! These are amazing!